Averill’s Sharper Uniforms Featured in Dec 2017 Issue of Bar Business Magazine! Averill’s Sharper Uniforms is proud to have been featured in the December 2017 issue of Bar Business Magazine , the hospitality industry’s premier publication, alongside some of the most highly-respected companies in the restaurant, hospitality and specialty service industries. Our Owner and Founder, Averill Bromfield, was interviewed by Bar Business Magazine to find out why he thinks finding a uniform that’s the right fit for your establishment is oh-so-vital to success. “As they say, first appearance is everything,” Averill said in the interview. “[If] you give someone a drabby T-shirt, that’s gonna turn people away, even in casual restaurants.” And how true that statement is; how many times have you walked into a restaurant and immediately judged the quality of the establishment based upon the staff you were greeted by? Turns out, our mothers were right — first impressions are crucial. It’s with this in mind that Averill’s Sharper Uniforms sets to work making the best-of-the-best uniforms in the industry. From our beginnings as a somewhat-local cutlery company, we recognized a need within the uniform industry and set to work to fill that void. Now, over 14 years later, we are a thriving uniform supplier providing superior service to companies around the globe. And while our business has gone global, our roots have remained proudly in the United States as all of our uniforms are proudly made right here at home using methods such as embroidery, screen-printing and heat transfers. One of Averill’s top pieces of advice mentioned in the Bar Business Magazine interview was that the uniform “has to fit the concept” of the establishment. A high-end restaurant with servers in screen-printed T-shirts might set the wrong tone. In the same vein, staff members who don’t have uniforms which clearly set them apart can result in the awkward moment of a customer asking a fellow customer for assistance because they can’t quickly identify establishment employees. “It makes it a lot easier to say, ‘sir or miss, can you help me?’ without asking a customer by mistake,” says Averil. Check out Bar Business Magazine’s December 2017 issue for the full interview and to read more about how Averill’s Sharper Uniforms can help your business stand out from the herd. 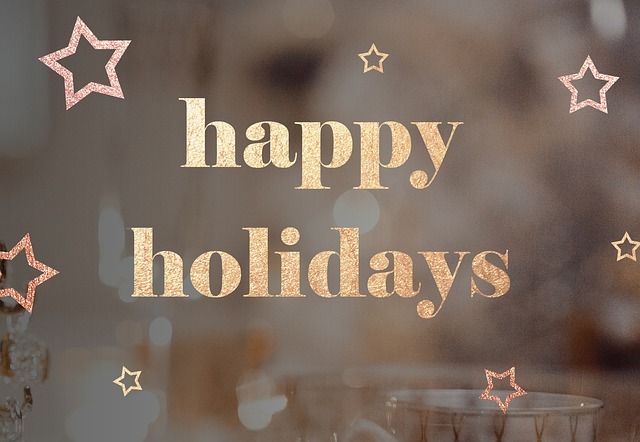 Happy Holiday Wishes to All! The holidays are a special time of year. As December passes, people spend more time at home with their families, sharing time and celebrating the final days of the year in a restrained manner. However, “restrained” is the last word we’d associate with the holiday season. For many restaurants, clubs and hotels, December is the craziest month of the year, packed with parties, banquets, gatherings and other holiday events. From the chefs and other workers in the kitchen to the greeters at the front, the intensity of work grows. As staffing needs increase and supplies get stretched, holiday stress can build. It doesn’t matter what area of the hospitality industry you serve. The holidays are a tricky time of year, where blessings and challenges are entangled to the point of being unable to separate them. You balance the needs of your family with your work family (for many of you, those two things are the same). Many of you won’t even get to celebrate the holidays until they are over, in the quiet, slow months to follow. But thinking about those rough, lean months only inspires a level of stress that doesn’t allow for a whole lot of relaxation. 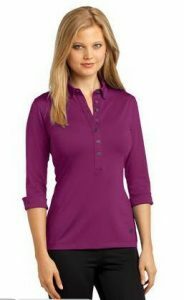 At Sharper Uniforms, we know exactly what you face at this time of year. That’s why our staff has worked hard to supply you with the best work uniforms the market has to offer. 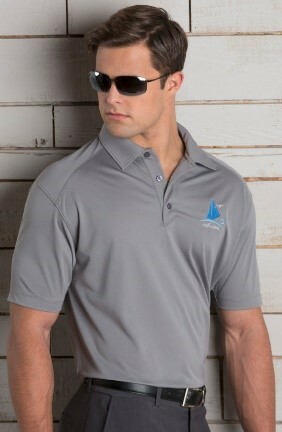 Since 2003, we’ve sought out the finest quality shirts, pants, aprons and other garments for your employees. We’ve put an emphasis on finding the finest fabrics with the perfect balance of comfort and durability, so that it can survive repeated shifts and washings. All of that work is geared toward helping you make money — well-dressed employees help bring back customers, and durable uniforms spare you replacement costs. We’re honored to be part of your success story, and we look forward to serving you in the months to come. From all of us at Sharper Uniforms, we wish you a happy, healthy holiday season full of warmth and wealth, and a prosperous new year. Whether your brand embraces formalwear, or you want to dress up your staff’s look for the holidays, a clean, crisp tuxedo shirt makes a statement of elegance and luxury. 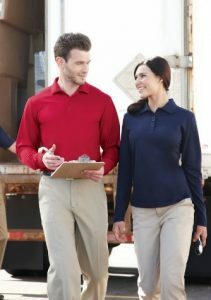 At Sharper Uniform, we provide a range of colors, collars, and styles for this iconic piece, with tailoring to fit both the men and women on your staff. Our men’s formal shirts include the traditional wing collar tuxedo shirt with your choice of 1/4 or 1/8 inch pleats. Convertible cuffs, clear buttons, and included black studs are versatile while achieving a classic look. Available in sizes from XS to multi-XL sizes, our men’s wing collar tuxedo shirt will fit every man on your staff in style. If you prefer the lay collar tuxedo shirt, we offer them in a range of colors with quarter inch pleats for classic detailing. Clear buttons can be changed for the included studs for added flair. We offer a wide range of bow ties and colorful neckties to accessorize your tuxedo shirts. If you prefer to forgo the neckwear, take a look at the men’s banded collar tuxedo shirts for the elegance of simplicity. We offer our banded collar tuxedo shirts in classic colors, with half-inch pleats. For further panache, consider the men’s black trim banded shirt in white, with a black piping trim around the banded collar. The single black and gold button at the collar, with a smooth, pleat-free front is very distinguished. Each of the styles described above can be found in our ladies tuxedo shirts, cut and styled for the women on your staff, in sizes 2-28. And each is designed to be durable and look its best through many wearings. Our men’s microfiber dress shirt takes this easy care and durability to a new level. The machine washable shirts continue to look new no matter how often they are laundered. Whether your staff is dressing up for the holidays, or the formal, sophisticated elegance is part of your daily style, Sharper Uniforms consistently delivers the quality you need for your hospitality staff. The holidays are such an exciting time, with festive decorations, seasonal menus and drinks, and so many parties. Customers come for an experience. Don’t miss the opportunity to include your employee uniforms in your holiday preparations. Add a dash of color and glamour with a fashionable tie or scarf to any holiday uniform. Available in a wide range of colors and styles, neckwear serves as the cherry on the sundae of your employees’ look. Add holiday cheer with a change of color or by adding a bold pattern to your customary neckties, bow ties, scarves, ascots, and tulips. Both functional and fashionable, Sharper Uniforms’ ties add polish to your look with ease. Perfectly pre-tied bow ties always look just right, with an adjustable band for the right fit, every time. Designed as a stylish accessory for both men and women, our bow ties are available in a rainbow of colors in a satin finish, as well as sophisticated crosshatch textures. 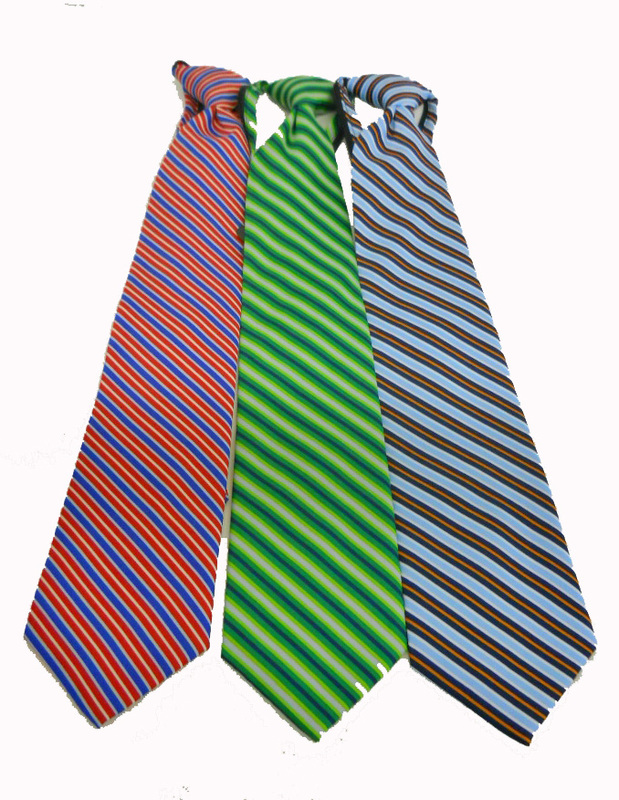 Neckties are a handsome addition to your uniforms, and we offer a wide selection of colors, patterns, and styles. Our zippered neckties are popular options that provide the perfect, dimpled knot at the perfect length, every single time. Simply slip the adjustable loop over your head, and snug the Windsor knot into place. Zippered ties add beautiful style for the women in your employ, or you may opt for a jaunty scarf or ladies loop ascot in a coordinating or matching color and pattern to top the look for the women on your staff. Rosette ties and tulips offer stylish alternatives for women along with a sense of prestige. Perfect your employees look for the holidays and every day with custom logo and text embroidery, available with every style of neckwear we offer. For the holiday season and beyond, quality, fashionable uniforms for your staff ensure they will look and feel their very best. Then, they will adopt that most important of all fashion accessories – a welcoming smile. Get ready for cold weather by giving your fall and winter outerwear selection an update. Your outerwear will likely be your most defining wardrobe pieces this winter, so it’s important to choose styles that are not only functional, but also fashionable. From lightweight half-zip sweaters to heavier three-season valet jackets with reflective stripes, there’s no shortage of good-looking, high-performance outwear options this season. For fall, lightweight coverage may be all you need. When the weather first starts to turn and sunny days turn into fall storms, a lightweight rain jacket will offer the protection you seek in a sleek package. Designed to offer coverage without the weight, the waterproof designs repel the rain and keep you dry. Many styles also offer protection against the wind, so you can brave whatever Mother Nature throws your way. 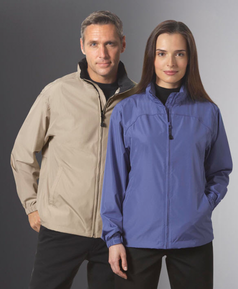 Be sure to choose a rain jacket with a built-in hood for the best protection. For those truly bone-chilling days, something a little heavier is in order. A heavyweight winter coat will keep you warm and dry while blocking the winter winds that can chill you to the bone. When choosing a winter coat, look for a design with multiple layers to help trap and lock-in body heat. Modern technology has allowed insulation materials to grow thinner by the day, meaning you can get some serious protection without the bulk. Look for a coat with plenty of pockets, water protection and a wide collar that can be turned up against a storm. For those that work outdoors, don’t forget reflective safety striping, which makes you more visible during those short winter days when darkness falls early. Make the most of the fall and winter season by stepping out in style. Choose a design that’s as protective as it is attractive, and you’ll be sure to beat the winter blues. Visit Sharper Uniforms for the best selection of high-quality outerwear in the season’s hottest styles to take on even the most extreme fall and winter weather. If you operate an upscale business and want your employees to look clean and sharp, it can be difficult with dry clean-only suits and uniforms. These types of common suits are expensive and time consuming to take care of, and while they look great when your employees are wearing them, they may start to look a bit worse for the wear if they aren’t able to clean them as frequently as they should. So, what’s the solution? Here at Sharper Uniforms, we think that washable suits are the answer to your uniform woes! These stylish suits are just as attractive as other types of uniform suits, but with one big difference: You can wash them right in the washing machine. Here are just a few reasons why we think washable suits are so great. They’re lightweight. Because these uniforms are made of polyester, they’re both lightweight and breathable for a comfortable fit that’s easy to move in. They’re stretchy. If your employees need a full range of motion to do their jobs properly, the twill weave in these suits offers a natural stretch that they’re sure to love. They have a classic fit. The impeccable tailoring on these machine washable suits ensures that you won’t sacrifice style when switching from the traditional suit uniform. From the tailored jacket that rests just at the hip to the princess seams and darts that create shape, your employees are sure to look and feel their very best. They’re fully lined. Unlike many budget suits, our machine washable suit uniforms are fully lined for a comfortable and luxurious fit. They’re machine washable. Perhaps most importantly, these suits are machine washable! Rather than taking them to the dry cleaner each time they need washing, your employees can simply toss them in the washing machine and wash on a cold, gentle setting. They’re quick drying. Not only are these suits able to be washed in the machine, they also dry quite quickly. The inner mesh at the shoulders, collar and elbows makes the lining dry quickly, so these suits can be worn again almost immediately. Looking for a way to make your existing uniforms look sharper without replacing the entire uniform? Vests are where it’s at! Layering a vest under a server’s jacket or over a crisp, button-down shirt creates a clean and smart look that your customers are sure to notice. Here’s everything you need to know about incorporating vests into your business’s uniforms. Add a classic black vest. One simple way to try out the vest look is by adding a simple, button-down vest in a basic black color. Sharper Uniforms carries many of these types of vests with V-necks and high-quality poly-wool blended fabrics that look great and won’t hold your employees back. Try out a fun, bright color. If you want to add a pop of color to your servers’ uniforms, try adding a vest in an eye-catching shade over top of their white shirts. 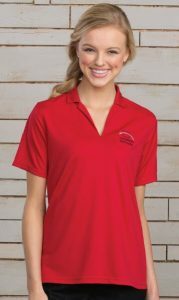 Sharper Uniforms carries vests in bold red, gold or navy blue, as well as a number of other sharp colors. You can even match your employees’ vests to the table linens and other details! Add a textured print or pattern. Rather than adding a bold color to your uniforms, you might try adding a texture or pattern instead. A vest with a woven jacquard or swirl brocade is a nice touch, as are vests with subtle diamonds and dots that you won’t notice unless you look up close. Incorporate a backless vest. If you want to have your employees wear vests under jackets or with matching bow ties, try out a backless vest rather than a full-bodied vest. These styles feature adjustable hook and loop fastener neck closures and adjustable elastic back straps and buckles for a comfortable fit, and because they’re less obtrusive than other styles, they’ll make it easier for servers to move around while working.